Today I was in need of a quick filler activity. We are ending a unit in Social Studies and had a little bit of extra time. Today was one of those days, a typical Monday I should say, that I didn’t have something extra hanging around. 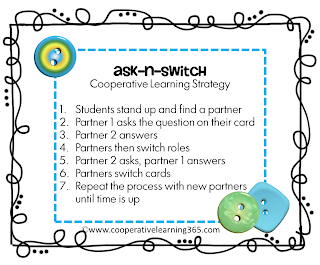 So, I decided on a quick impromptu review with the whole class game Ask-n-Switch. I gave each student an index card, and they wrote a question of their choice that related to our topic. They were told to treat this as if they were writing a question that would be found on the test. On the back of the index card they then wrote the answer to their question. 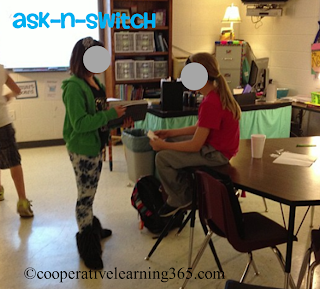 Before we started Ask-n-Switch, they traded cards with a partner to check that the question was relevant,could be understood, and that the answer was correct. After the quick check, students stood to signal they were ready to go. The index cards that contained their own questions and answers became our set of review cards. The preparation took approximately 3-4 minutes. In order to come up with a question, they had to reflect on their learning which required them to think deeper. 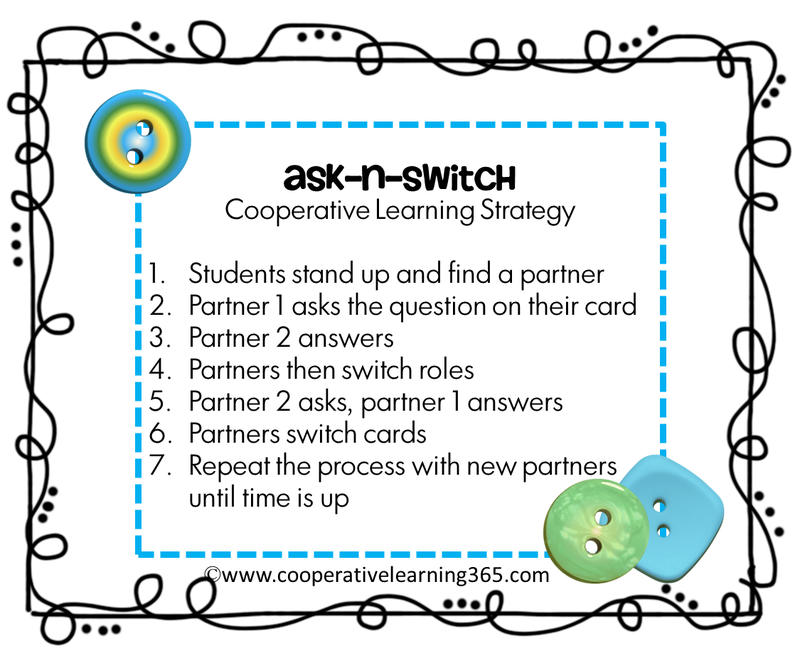 ALSO, we have a set of review cards that we can use again tomorrow! « Looking for an App?